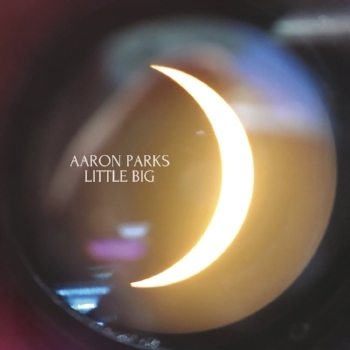 This album picks up where pianist Aaron Parks left off 10 years ago with his acclaimed 2008 Blue Note release, Invisible Cinema. Like that disc, this is the product of a piano-and-guitar quartet playing modern rock- and electronica-influenced postbop. Time, though, has altered Parks’ music: less ostentation, more gravitas. It’s the beauty and vision of the older album, filtered through maturity. Perhaps Parks learned something from his stint at ECM (with whom he released last year’s trio album, Find the Way, with Ben Street and Billy Hart), something about restraint, letting the song pull its weight and atmosphere have its place. On the decidedly unsubtle “Professor Strangeweather,” with its funk/hip-hop beat, Parks’ squiggly synth solos use ample space and economy of notes—and, in a menacing exchange with guitarist Greg Tuohey, some minimalist vamps. On the other hand, the hymn-like “Hearth” is subtle, Parks’ solo piano accompanied only by his soft hum; if the chords are dense here and there, it’s only because the song requires them to be. Parks specializes in multi-part compositions, and in making the transformations feel earned. Mournful in its first half, “Siren” undergoes both a key change and an escalation of tempo and energy in its second; sadness becomes anger. Even here, though, the band keeps it concise and uncluttered. Drummer Tommy Crane steps up his attack but doesn’t ornament, and Parks adds only the lightest of lacework to Tuohey’s howl. For all the aforementioned discipline and taste, however, Little Big goes on too long; 80-minute discs were too much even in the CD’s heyday, and now are outright rambles. Had it ended with the troubled but ultimately hopeful “The Fool,” the album would be close to perfect. As it is, it’s a flawed but wondrous statement from a brilliant, visionary talent. Pre-order Little Big on Amazon!